Michael Dulberg shares his knowledge on construction law. Michael Dulberg’s goal is simple: deliver quality legal services to his clients with candor and integrity. Serving as the client’s advocate and adviser, Michael tells his clients what they need to hear and not simply what they want to hear. 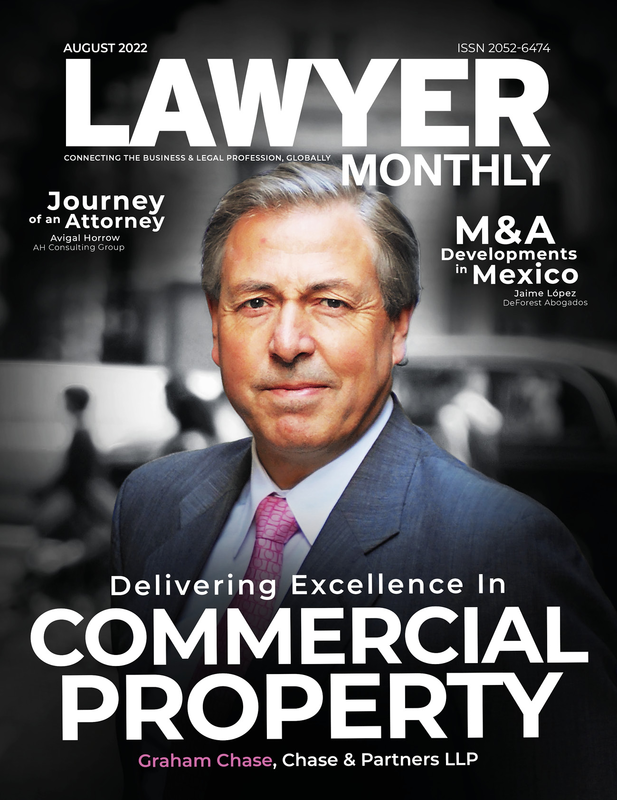 Listed in The Best Lawyers in America for Construction Law and Litigation in the 2014 – 2019 editions, Michael shares his knowledge on construction law. Touching on statutes that protect contractors, and the importance of a well-crafted contract, Michael reveals ways in which contractors can be saved from litigation. What are common statutes that protect contractors, that they are unaware about? Typically, contractors have only a vague understanding of the statutory provisions protecting them but lack specific knowledge regarding the details. Many jurisdictions have similar statutory schemes, but specific statutory requirements vary from State to State, so it’s important to consult with experienced local construction lawyers. From my experience in Arizona, the three most important statutory protections for contractors are the Mechanics’ Lien laws, the Prompt Pay Act, and the Purchaser Dwelling Act. Lien laws allow contractors to obtain a security interest in the Owner’s real property to assure payment. Prompt Pay laws regulate the payment application process and the timing of Owner review and approval, including deadlines for written objections as a predicate for withholding payment, and establish fixed time periods when payment is due and provides remedies when the statutory requirements are not satisfied. Arizona’s Purchaser Dwelling Act requires residential purchasers to provide notice of claims as a prerequisite for subsequent litigation and gives contractors the right to inspect and repair purported deficiencies before any lawsuit can be filed. Typically, contractors have only a vague understanding of the statutory provisions protecting them but lack specific knowledge regarding the details. Can you share the importance of contractors protecting their lien rights? What can they protect themselves from? A lien provides a statutory security interest against real property that can protect those who improve the value of others’ real property from the risk of non-payment. The lien can be judicially foreclosed and if the foreclosure action is successful, the lien can theoretically be satisfied from the forced sale of the property. Liens don’t guarantee payment, but they’re important because they improve the odds of getting paid, thereby adding another weapon to the contractor’s legal arsenal. Should every contractor file for a lien? No. Liens are an encumbrance against the property and therefore should only be recorded when payment is in dispute and there is a balance due. There is reason to proceed cautiously because the Owner has a statutory remedy if a groundless lien is recorded. It is imperative that every contractor serve a Preliminary Twenty Day Notice, because in Arizona, the Preliminary Notice is a prerequisite for the later assertion of a lien claim. Liens don’t guarantee payment, but they’re important because they improve the odds of getting paid, thereby adding another weapon to the contractor’s legal arsenal. Can you share the requirements and procedure for filing for a lien? Again, specific requirements and procedures for filing liens may vary from State to State. My frame of reference is Arizona. Here, the first step is serving a Preliminary Twenty Day Notice. The content of the Preliminary Notice, who gets served and what constitutes proper service, are defined by statute. The purpose of the Preliminary Notice is to inform the Owner about who is working on his property and therefore, who potentially has lien rights so the Owner can take steps to assure payment to those potential claimants. Failure to properly serve the Preliminary Notice may preclude assertion of lien rights. Assuming a timely Preliminary Notice was served, and payment is due, the lien must be recorded with the County Recorder in the County where the project is located within 120 days after completion. Completion, for lien purposes, is statutorily defined. After recordation, the Owner must be served with a copy of the lien within a reasonable time. The lien must include: legal description; Owner or reputed Owner; name of contracting party; copy of written contract or summarized terms of oral contract; amount of demand; date of completion; date when Preliminary Notice was served and attach the required proof of service of the Preliminary Notice. Finally, a lawsuit to foreclose the lien must be filed within 6 months after recordation or the lien is unenforceable. In addition, within five days after the action is filed, the lien claimant must record a Notice of Lis Pendens with the County Recorder. Failure to do so is fatal to the lien claim. Project documentation won’t necessarily prevent litigation, but when litigation can’t be avoided, project documentation can impact the outcome. In what other ways can contractors protect themselves from potential litigation? First, contractors should get lawyers involved in drafting and negotiating construction documents. Disputes are inevitable, and no contract is perfect, but contractual terms can facilitate early resolution of disputes without the need for litigation. Secondly, contractor personnel need training regarding important statutory provisions, contractual terms and procedures. Third, contractor personnel need to understand the importance of regular communication and documentation throughout the construction process. Change orders must be in writing. Accurate daily reports should document subcontractor manpower, construction activities, weather events, and events that impact the schedule. Emails can confirm informal verbal agreements and document important project events. Project documentation won’t necessarily prevent litigation, but when litigation can’t be avoided, project documentation can impact the outcome. Can you share ways in which you have seen the construction industry progress over your years of practice, and how this has affected your role? When I first started practicing construction law, I litigated disputes and occasionally reviewed contracts, usually after the fact. I rarely saw my clients’ contracts until there was a dispute. Clients rarely involved attorneys in contract negotiations. That’s changed. Now, I spend more time drafting and revising contracts than litigating claims. On major projects, I’m often deeply involved in negotiating the construction contract. Frequently, I’ll start with standard industry form contracts and adapt them for my client’s needs. I also prepare contracts and subcontracts for general contractor clients to use in their routine operations. In the context of claim analysis, I see parties bringing business judgment to bear as they analyze the strengths and weaknesses of their claims/defenses, and the likelihood of an ultimate recovery. As a result, I’ve seen clients decide to walk away from multimillion-dollar claims. That cautious approach to the claims process translates into clients being receptive to inclusion of early mediation and other alternative dispute resolution provisions in their contract documents. My name is Michael Dulberg. I’m a construction lawyer with Burch & Cracchiolo P.A. in Phoenix, Arizona. My practice focuses exclusively on construction law and construction related litigation. I help businesses and individuals navigate the various disputes that may arise during construction projects. I’ve encouraged clients to involve lawyers in the preparation of contract documents. Fair contracts can reduce litigation risk by providing a mechanism for early dispute resolution. Some disputes can’t be resolved necessitating an adversarial process. I have extensive experience litigating and arbitrating a wide variety of construction issues, including: non-payment claims, liens, delay claims, defects, design issues, bond claims, Registrar of Contractor complaints, and bid disputes. I’ve assisted clients in alternative dispute resolution and litigation for claims of all sizes and complexity. Burch & Cracchiolo, P.A. was founded in 1970 and with its primary office in Phoenix, it remains one of the Southwest’s premier law firms.